Lynette Wylie focuses her patent practice on devices and methods in the mechanical, design, medical and biotechnology fields and specializes in trademark, copyright and related licensing, as well as, strategic business, branding, image and media rights licensing involved in sports and entertainment representation. 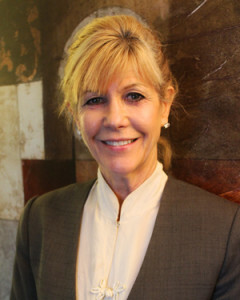 She has also worked on litigation including filing formal court pleadings and briefs, real estate transactions, estate planning and probate matters and business start up structure and strategy, immigration, family law and due diligence review relating to mergers/acquisitions/transfers of property rights and goodwill. Ms. Wylie’s technical background is in Medical Technology and she attained her JD from Washington University. Ms. Wylie has represented entrepreneurs, mature enterprises of many sizes and individuals in procuring US and overseas trademarks and patents for their mechanical and medical devices, compositions, methods, networking systems, plants, footwear, clothing and methods. She has negotiated, drafted and monitored enforcement of licensing and distribution agreements. Her business and contracts experience includes formulating a gamut of agreements and related correspondence. In addition to her legal experience at prominent intellectual property and general practice firms, she successfully founded and operated a start up that imported custom products for over 15 years. Her combined legal and business experience enables her to apply the cost-benefit equation to determine what advocacy optimally serves her clients’ interests and objectives. Ms. Wylie is registered to practice before the Washington State Bar Association, and the Federal Circuit Court of Appeals. She is a member of the King County Bar Association, Washington Lawyers for the Arts and Native Indian Bar Association. Her other languages include Indonesian and conversational French.